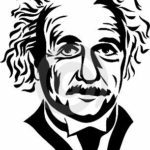 Albert Einstein, a German-born theoretical physicist is often regarded as the father of modern physics and one of the most prolific intellects in human history. Bruni moved from Germany to the UK at the age of 8. 13 years later at the age of 21 she with her husband, John with a little baby in arms, immigrated to Australia. 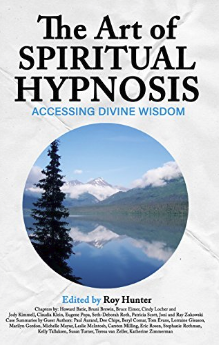 In 1989 Bruni enrolled in a Hypnotherapy course that changed her life forever, she went on to gain her Diploma in Hypnotherapy then in 1992 she joined the Australian Hypnotherapists Association where for 4 years she was their National Secretary followed by 9 years as their National President and has earned the honorary title of Life Member and President Emeritus. This is a testament to Bruni’s commitment towards her chosen profession and helping her clients find a natural and drug-free way of connecting to health, happiness, and wellbeing. Counselling – Diploma of Individual, Couple & Family Therapy – with Unifam, an agency of the Board for Social Responsibility, Uniting Church in Australia, NSW Synod. Approved under the Family Law Act, 1975 (as Amended). Two Workshops given at Monash University in Melbourne, Victoria Australia – 1) Hypnotherapy, 2) Hypnosis in Irritable Bowel Syndrome. 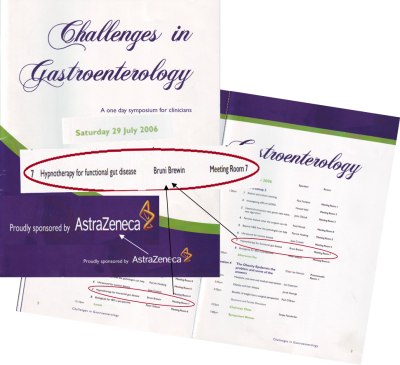 Two back to back workshops at the One day symposium for clinicians on the Challenges in Gastroenterology sponsored by AstraZeneca in Melbourne, Victoria Australia. Workshops on various issues, in most States of Australia. Clinical experience in a private rehabilitation centre working for a rehabilitation psychiatrist, dealing with Motor Vehicle accidents, Industrial accidents, Work harassment, Hold-ups, Bereavement and associated psychological problems such as PTSD symptoms (as defined in DSM-IV™), Suicidal tendencies, Phobias, C.O.D., Physical and sexual abuse, IBS, Eating disorders, bedwetting etc. Clinical experience working with children from the age of 0-18 years, (and their families) who have been sexually abused and referred by the Department of Community Services and/or Joint Investigative Response Teams. During this time whilst counselling an 18-year-old in an ‘Outreach’ position for sexual abuse, due to extensive problems within that family, the Court ordered that the two youngest children with Global Developmental Delay be taught protective behaviour. I initially declined when asked to do this as I had no formal training in this area. As no one could be found with this training I was again asked if I would take on this role. I appreciated the opportunity to help this family and had the opportunity to gain skills through that endeavour. Releasing Negative Feelings and Emotions from childhood and along our life span. Assisting and/or Releasing Health Issues. See Health Issues Listing on this website. Contact me for other issues.